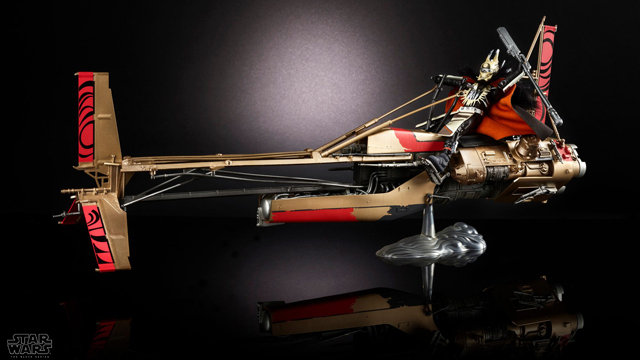 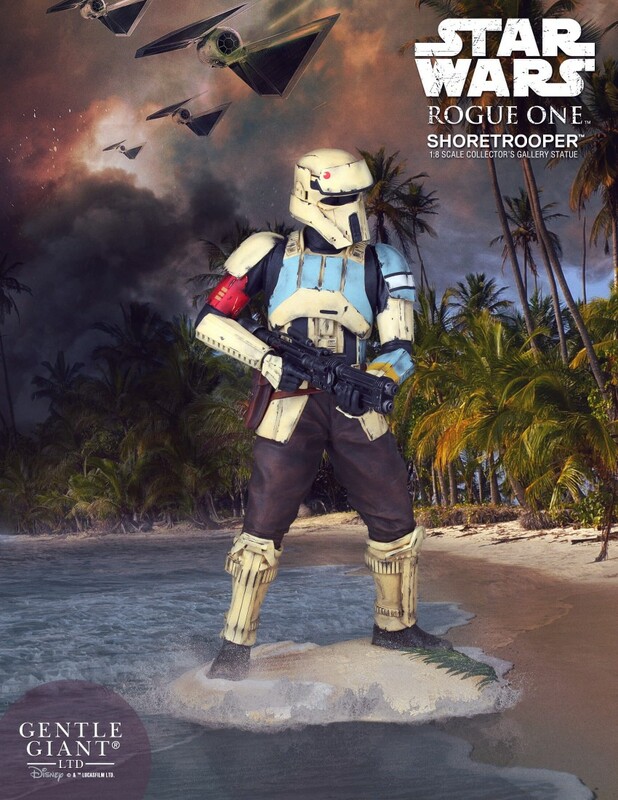 When info on Rogue One started to roll out a while back, the one thing we were worried about is if there would be any new versions of Stormtroopers and if there were, how could they possibly be any cooler than (or remotely close at least) to our favorite blaster wielding assault troops of the Galactic Empire.Thankfully, the masters at Dinsey and Lucasfilm found a way to introduce us to all-new tactical troopers and the Shoretrooper is definitely our favorite, and now you can bring one home thanks to Gentle Giant. 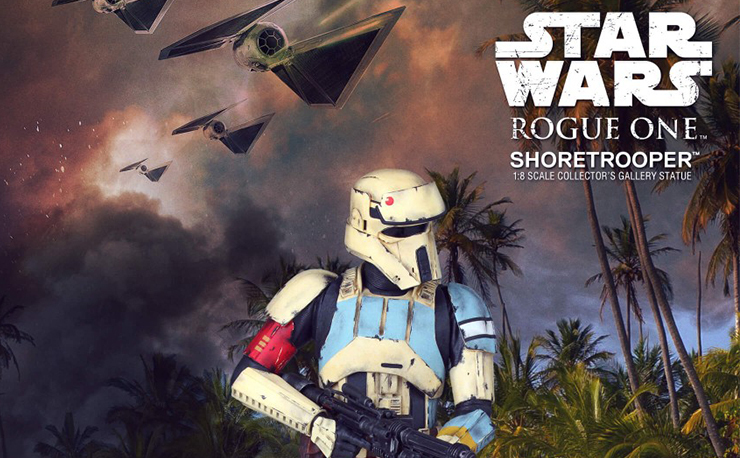 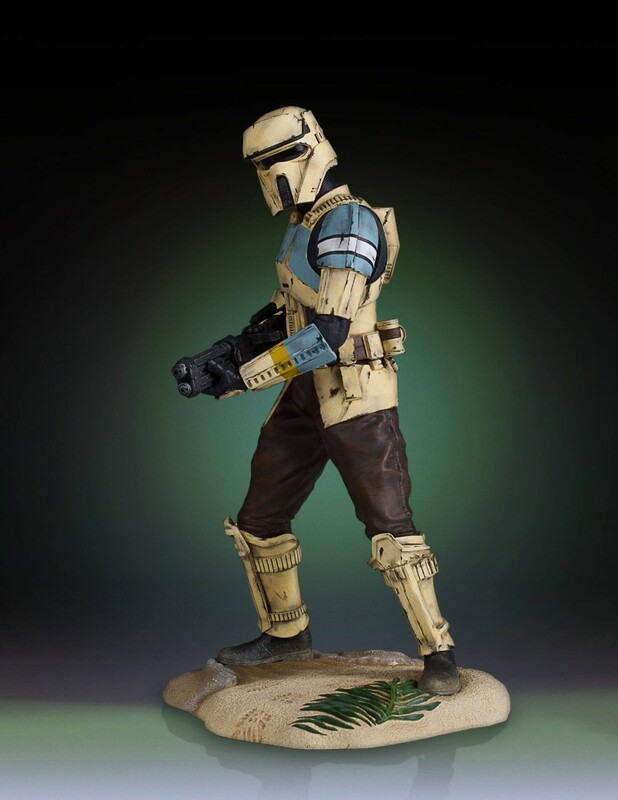 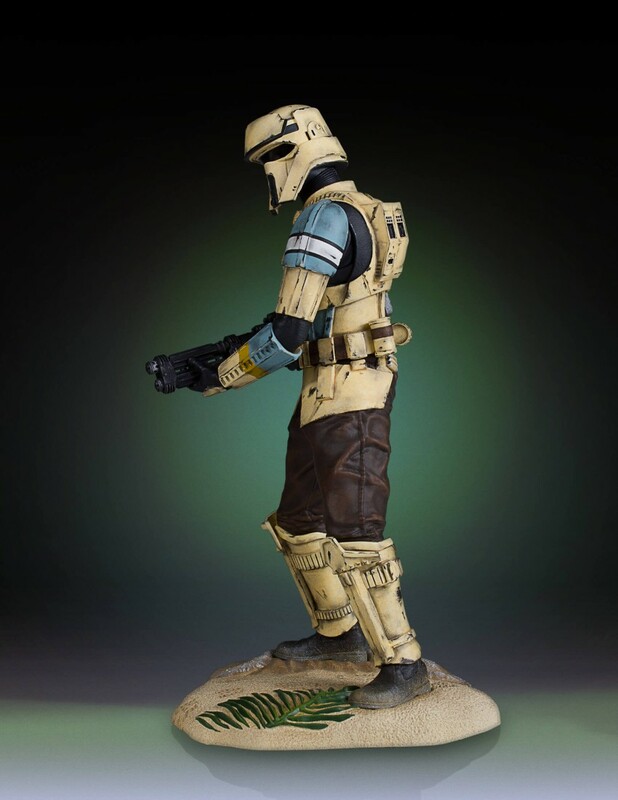 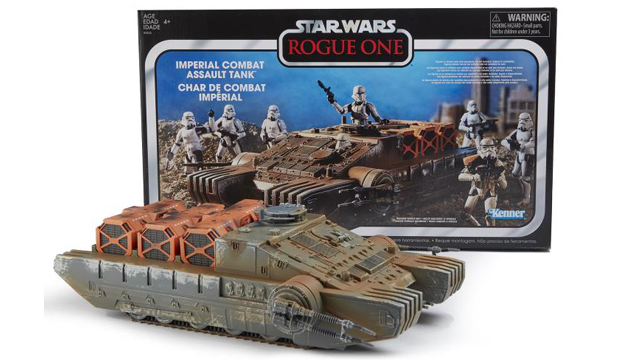 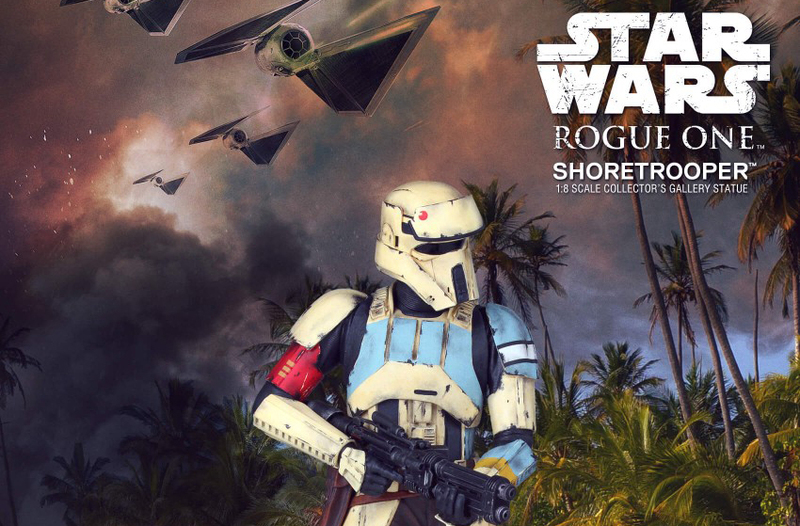 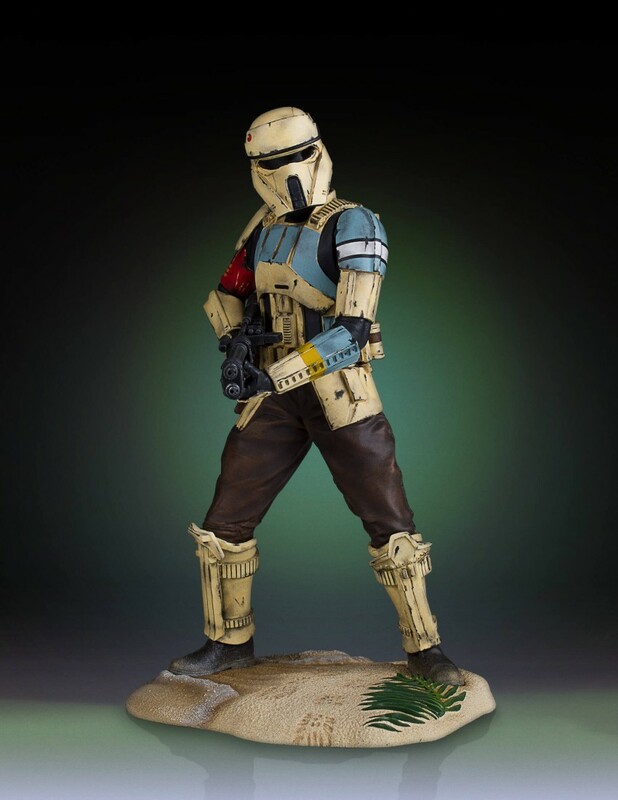 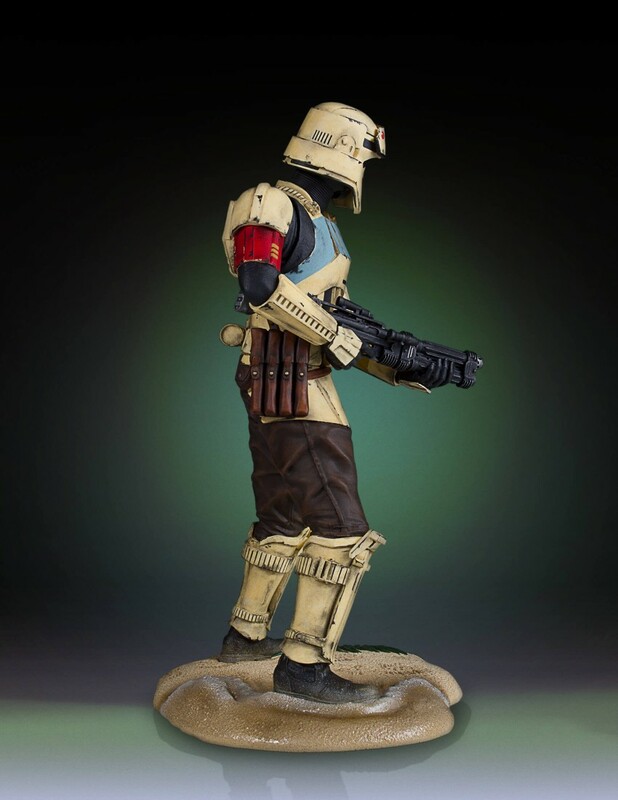 Straight from the shores of Scarif, this 9” tall statue of the Empire’s beach patrol armored soldier stands on a special beach-themed base with heavy blaster rifle in hand and fully geared-up with hip pouches plus detailed armor. 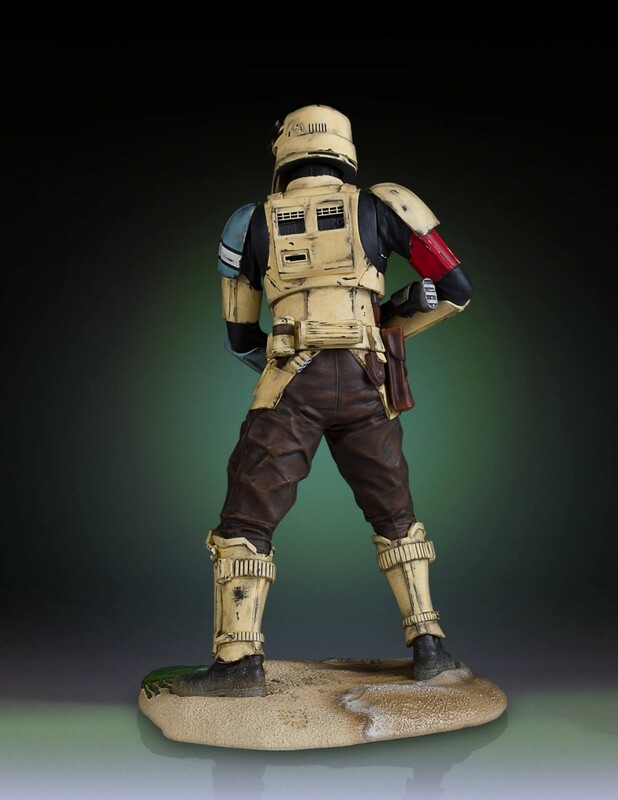 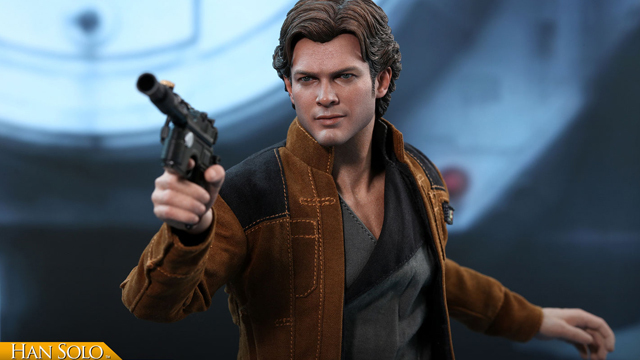 Sculpted digitally for movie-accurate detailing and made from stone-like durable polystone, each Shoretrooper is hand painted to show off the wear and tear of fighting the Rebels, right down to the nicks and scratches in the armor. 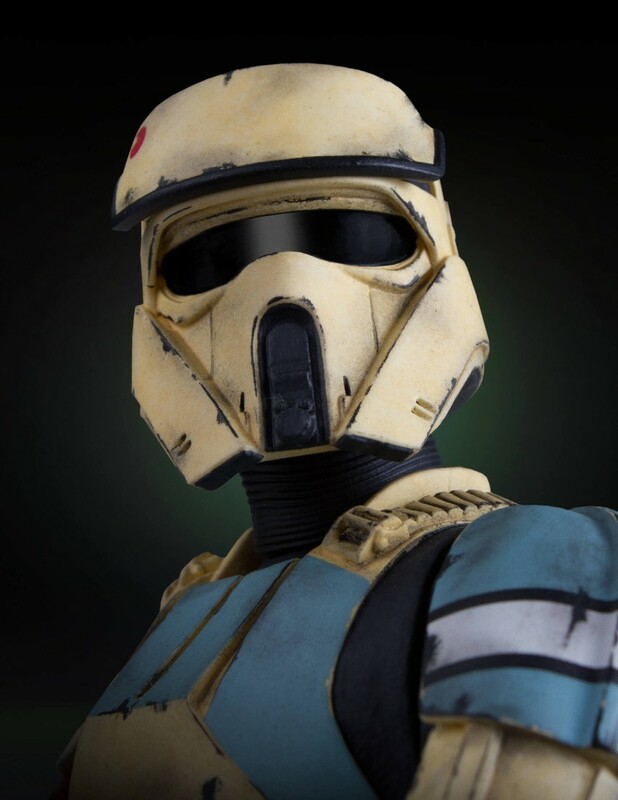 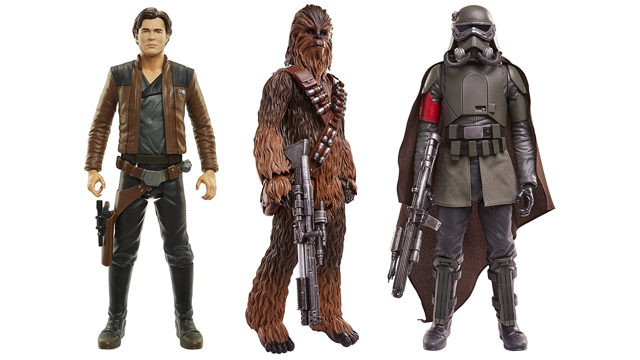 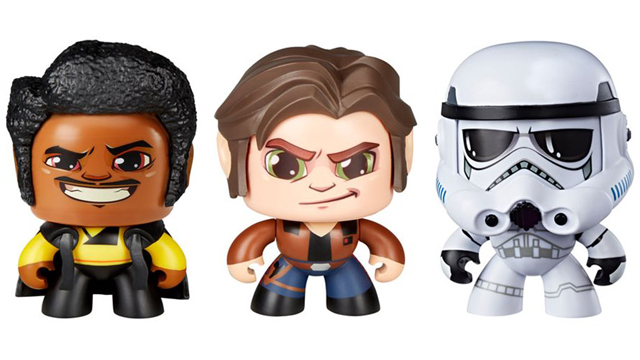 Expected to ship in the third quarter of 2017, pre-orders are available here right now, so don’t hesitate or else you might miss out on adding another one of the evil Empire’s troopers to your collection.